Our company name comes from the Italian word “Segnavia”, meaning signpost. In 2009 we used the meaning of this word to create Signavio. Today our software serves as a signpost through the daily workflows of over 1000 customers. In 2009, we based the name of our company off the Italian word “Segnavia,” meaning signpost, because it was our goal from the very beginning to help businesses navigate change. Today, our software continues to serve as a signpost in the day-to-day processes of over 1,000 customers. 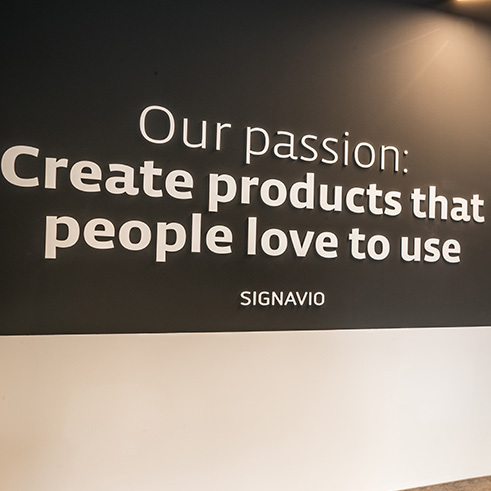 Signavio was born out of an obvious need for a more collaborative and accessible approach to process management. Four students at the Hasso Plattner Institute in Potsdam, Germany saw that process management was either non existent or completely unmanageable for many companies—there was no way to share knowledge between employees or departments. And while there might be theoretical or academic ways to study and implement process management, businesses weren’t benefitting from it because it didn’t exist in any sort of accessible platform, such as a software solution. The students wanted to address this issue and what started out as a research project to create a modeling tool with collaborative functions turned into a prototype for the Signavio software that appeared in 2006. After the tool was refined, Signavio was founded in 2009 and introduced the first completely web-based collaborative BPM software. Today, many companies are facing the challenge of constant change or even reinvention, dictated by the requirements of the market. Whether it’s because of new technology, changing regulations, or even changes in institutional knowledge, many companies are considering what direction they need to go for long-term success. It’s the responsibility of business leaders who understand their company’s’ processes to find the right path forward. This is why Signavio was created; to serve as a signpost for workflows, processes, and decisions. Signavio Business Transformation Suite, a cloud-based software for intersectional collaborative process and decision management, offers companies a way to orient themselves in times of constant change. Signavio has continued to evolve since then, growing in terms of its product offerings and as a company. What began as a small start-up is now a global player with a growing team working in offices in Germany, the United States, Singapore, France, Australia, the United Kingdom, and Switzerland. And what began as just one product has developed into Signavio Business Transformation Suite. We’ve recognized that the biggest challenge business face today is the pace and complexity of change needed in order to stay relevant in the market. Today’s businesses need to be constantly transforming, which is in and of itself a process. Signavio’s Suite allows businesses to take the strategies they develop to reach objectives like customer excellence, operational improvement, business excellence, and digital transformation into execution. 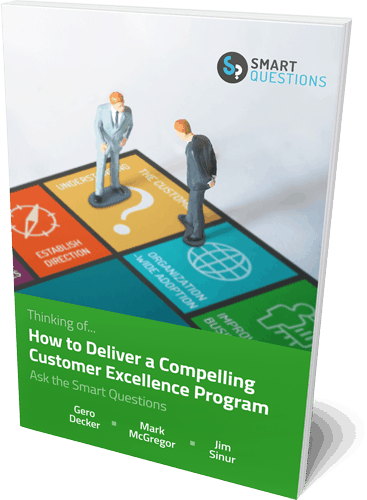 You need to make smarter decisions faster in order to thrive in the marketplace. How can you leverage the wisdom of the crowd? How do you capture, connect, and communicate the way work gets done? How do you ensure consistency in the approach used by staff? Signavio Business Transformation Suite is designed to help you answer these questions and the many others. It leverages the interfaces, devices, and working practices of today to serve as your guide on any business transformation journey.